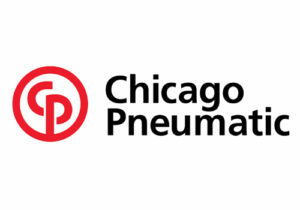 2018 Has been an exceptional year for Chicago Pneumatic in terms of new innovative products released, all of which will be displayed on our stand at Mechanex Sandown. Tools such as the CP8849 Cordless ½” Impact Wrench 2 speed, CP7783-6 Light in weight yet full in power 1” Impact Wrench with the CP Ergoseat designed to make heavy tyre change jobs on commercial vehicles lighter. Our first ever CP8345/50 Cordless Grinder and our range of Composite Drills with Pistol, Straight and Angle models designed specifically for vehicle service/repair industry. That’s not all our ‘Classic range’ will also be displayed showing best sellers like the CP734H ½”and CP772H ¾” Impact Wrenches. Then we have the very popular ‘Ultra Compact’ tools like the CP7732 ½” & CP7762 Stubby Impacts and CP7737 ½” Angle Impact designed for those difficult limited access applications that have proved to be very popular with mechanics. It doesn’t end there as our Workshop Equipment will also be on display showing: Trolley, Hydraulic & Balloon Jacks, Axle stands, Calibrated Torque Wrenches, workshop press and many other products ideal for the workshop. We look forward to seeing you on our stand.